Founder Jessie Ennis is pictured among other women motorcyclists in this beautiful photograph of the London Ladies Motorcycle Club from Getty Images. 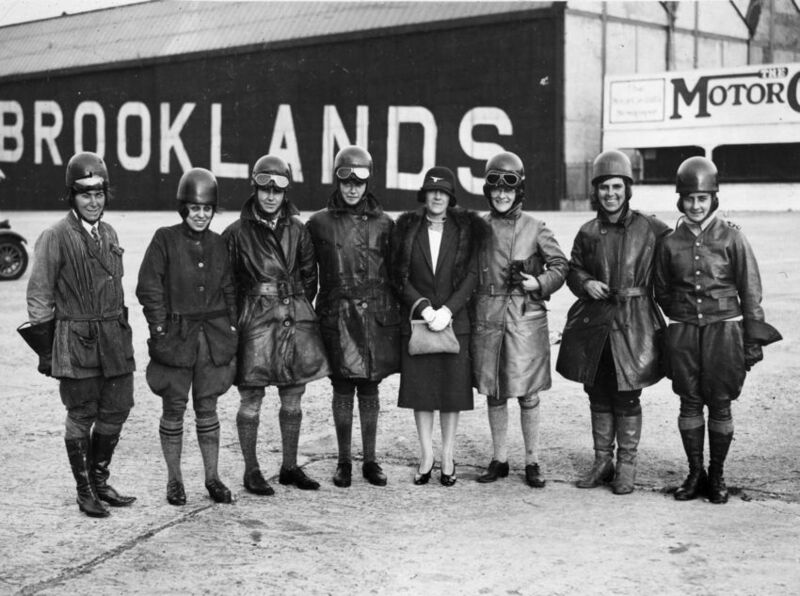 Posing to capture a historical moment (circa 1925)- at Brooklands Weybridge in Surrey, England, where they were competing in the first motorcycle race for women in Britain. There aren’t a ton of photos of the London Ladies Motorcycle Club, and the other ones I could find are locked up by Getty- but you can view those here. They’re shown hosting races through Surrey and Kent in Britain, planning long rides of their own, plus participating in some of the very first women’s races. In the early 20th century, women competing in races was rather unheard of, and often not allowed.